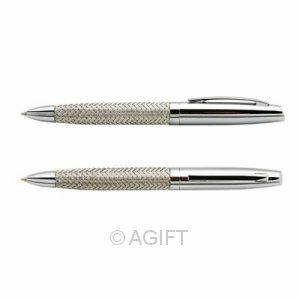 A stunning pen,featuring a weave stainless steel barrel and chrome end. 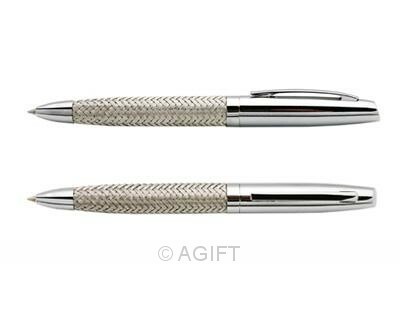 A great birthday, celebration, staff incentive or reward gift. Packaged in a black and white satin gift box.